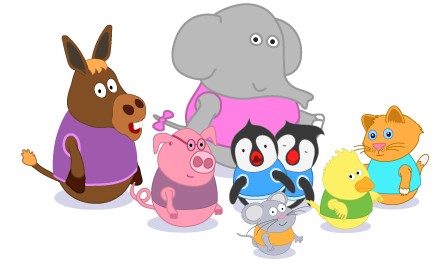 The Bobblies - Kids animated cartoons and games featuring the Bobblies in Bobbly House. Bobblies don't walk, they bobble. helter skelter called Bobbly House on top of Bobbly Hill. Come inside and meet the Bobblies!! NEW! "Lily's Song" Book Available from Amazon! 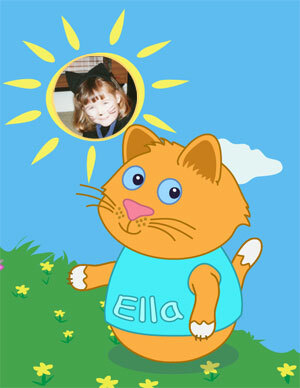 Lily's Song is a read aloud picture book for 2 to 7 year olds. Adventures await when Hugo gets lost in the forest and Lily saves the day in this funny and touching story of friendship. Book now available from Amazon. Say hi to your favourite Bobbly! Simply email a picture to twins@bobblies.com with a first name and tell us who your favourite Bobbly is. The Bobbly will wave back from facebook! 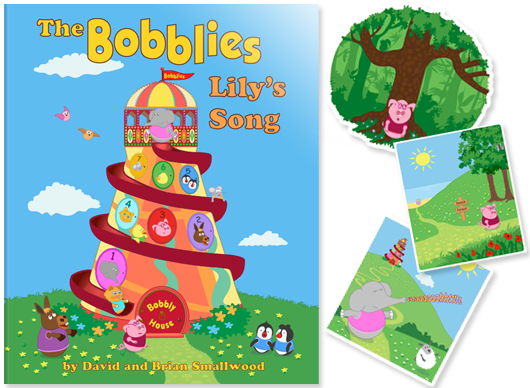 *NEW* Lily's Song available from Amazon books now!